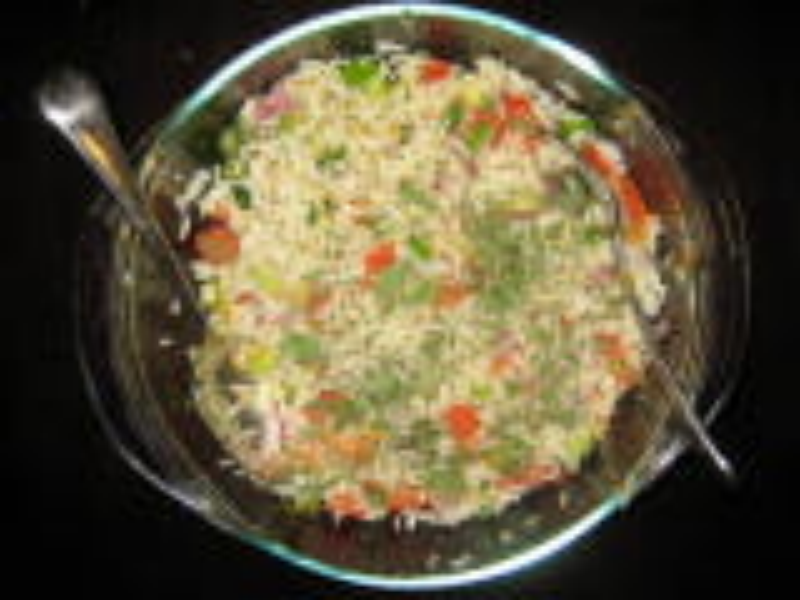 In a large bowl combine cooked rice, onion, green onions, tomato, cucumber and chopped cilantro. In a small bowl whisk together fresh orange juice, lemon juice, lemon zest, salt pepper to taste. Mix well and pour over the rice salad. Toss gently and garnish with chopped cilantro and serve. Really good, little tangy and great with stir fry vegetables/chicken. My all time favourite. Well...I dont know about the steaming part..with Citrus..as I have never done it..may eb you can try and let me know how did it go..
dear Chitra your recipe sounds extremely interesting but i was just wondering if rice could be given steam(dum) with citrus juice n later add all veg. in it so it becomes more of a rice dish than salad.Do u think it is possible?